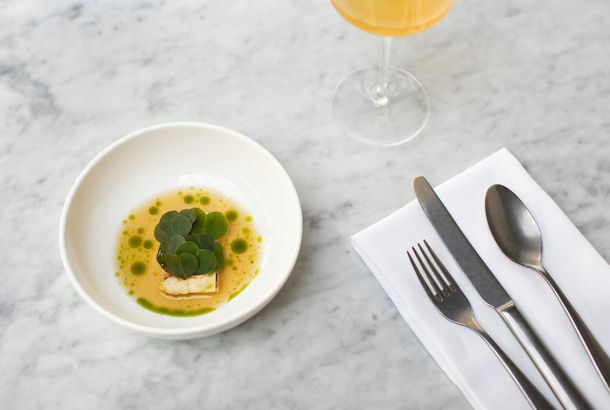 Oxalis Is Not Your Garden-Variety Neighborhood BistroYoung chef Nico Russell has ambition and creativity to spare at his fine-dining restaurant in Crown Heights. The Absolute Best Restaurants in Crown HeightsAn affordable tasting menu from a Daniel-trained chef, spot-on Neapolitan pizza, and destination roti. The Fake-Bullet-Hole Bar Finally Took Down Its Controversial WallThe owner had refused to, despite demands from locals since July. This Is a Perfect Photo of Meeting Over Crown Heights ‘Bullet Hole’ RestaurantNot one but two facepalms. People Are Still Protesting the Bullet-Hole Bar in Crown HeightsOne neighborhood resident doesn’t believe Summerhill is long for this world. 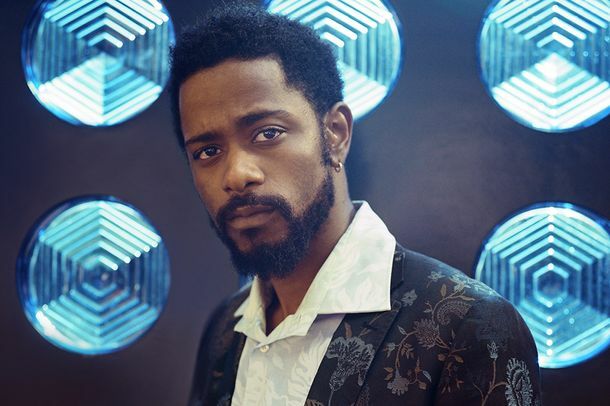 Lakeith Stanfield Faces a Hostile Jury in Exclusive Crown Heights ClipStanfield plays Colin Warner in a biopic about his wrongful imprisonment. Crown Heights Will Floor You With the Facts of Its Incredible True StoryIt’s a lot of telling, and not much showing — but what a story to tell. BKW, From the Brooklyn Winery Team, Opens in Crown HeightsRoot-beer-glazed pork ribs, plus lots and lots of wine. New York Students Keep Bringing Loaded Guns to SchoolThree loaded guns have been confiscated in the past week. Cuomo Aide Shot Before J’Ouvert DiesCarey Gabay was taken off a respirator Wednesday. The Food Sermon Puts a Hybridized, Healthful Spin on Caribbean CuisineCrown Heights isn’t lacking for Caribbean restaurants, but owner Rawlston Williams brings something new to the neighborhood. What to Eat at Butter & Scotch’s Dessert-and-Cocktail Bar in Crown HeightsBooze, desserts, and booze-spiked desserts. Morris Sandwich Shop Will Bring Corned Beef and Raclette Back to Crown HeightsThe Bubie will return. Bedazzled Bikinis and Heavy Plumage at the West Indian Day ParadePlus, plenty of body glitter. Here’s a Look at the New Dishes Debuting at Berg’n, OpeningRamen churros, balsamic-boiled peanuts, and two fried-chicken sandwiches. Berg’n Beer Hall Opens August 27It’s almost time to make the ramen burgers. Starbucks Opens Its First Crown Heights Store This FallThere goes the neighborhood. What to Eat at Berg’n, the New Brooklyn Beer Hall Serving Tons of AmazingIf it is delicious, there is a 99 percent chance it will be served here. Glady’s in Crown Heights Ditching Sandwich Concept to Become CaribbeanThere’s going be a lobster tank, too. Glady’s Rolling Out Dinner Service, Expanding Next DoorMorris Grilled Cheese is getting its first brick-and-mortar space. The ‘Knockout’ Game, a.k.a. ‘Polarbearing,’ Is a Terrifying Teen TrendThe NYPD’s Hate Crimes Taskforce is investigating eight attacks on Brooklyn Jews. Black Crown Heights Teens Accused of Playing ‘Knock Out the Jew’What ever happened to … literally any other game? Donate to Butter & Scotch’s Kickstarter, Receive Temporary TattoosThe bakers are working to open a dessert-and-cocktail bar in Crown Heights. First Look at Glady’s, Bringing Wood-Fired Grilled Cheese and Pork KnuckleThe Morris Grilled Cheese truck team opens a formidable sandwich shop in Prospect Heights. Gentrification, Stop-and-Frisk Collide in Crown HeightsAlmost twice the stops on one side of the neighborhood than the other. The Jewish Morality Police Attacked My Short SkirtA run-in with Brooklyn’s ultra-Orthodox clothing cops. Catfish Owners Want to Open, But Neighbors Aren’t BitingThe SLA board invokes a seldom-invoked rule. Sleeping Man in Synagogue Wakes Up to Beating From Police [Updated]Security footage captured the confrontation between a Brooklyn man and the NYPD. Crown Heights: The Hasidic Soho?It has flower shops, artisanal truffle oil, and a kosher pizzeria that’s a mommy magnet. Yuppie Pizza Parlors and Organic Grocery Stores Continue to Annoy Crown HeightsAnother neighborhood gets gentrified. The Hasidim Pray for Crown Heights’ Non-AssimilationBut it’s going to take a miracle. Al Di Là Casual Spinoff, Bar Corvo, Opens ThursdayCrown Heights gets a good one. Here’s the Saddest Story You’ll Read, EverA Crown Heights mom killed in a hit-and-run on Christmas morning was literally carrying a list of dreams when she died. Tom’s Restaurant Branching Out to Coney Island BoardwalkOne mom-and-pop place will go up where another mom-and-pop place was pushed out. The Starlite Lounge Film and RebirthThe film needs help to finish. First Look at the Crown Inn, Bringing a ‘Perfect Manhattan’ to CrownThe bar opens Friday. Al Di Là Expanding to Crown Heights; Treats Truck to Carroll GardensFurther evidence that Brooklyn is on fire. Reverend Al Sharpton Agrees Not to Attend Panel on Crown Heights RiotsBut he still argues that he wasn’t responsible. What a Drag: Gay Institution Starlite Lounge Will Close This WeekendPlus, Fedora has officially called it quits. A Sip of $10 Coffee in Crown HeightsWorth the splurge? Potluck DinnersA Crown Heights restaurant has been busted for serving off-the-menu weed. So What Else Do Stores Sell Alongside Pounds and Pounds of Marijuana?Incense and shea butter, of course! Dutch Boy Burger Opens Friday in Crown HeightsThe partners behind Franklin Park enter the burger wars. Indian Restaurant Coming to Bed-Stuy; Support Local Beef at the Union SquarePlus, new residents for the defunct Safe Haven Bar and Grill, and Paulie Gee’s pizzeria on Greenpoint Avenue. Crown Heights Man Wreaks Revenge on Chatty CathyThis is either a loss for the city’s reputation, or a victory for all of those who just wish that crazy person on the subway would SHUT UP. So Long, Starlite?A Crown Heights gay bar for everyone may lose its lease. Coffee Fight in Crown HeightsDoes Franklin Avenue have room for two coffee shops?